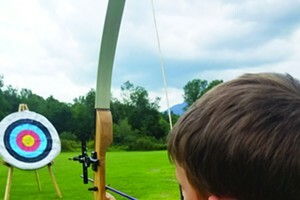 A Sense of Place: Camp Staffers Reflect on the Spots That Make Their Summer Program Special | Camps | Kids VT - small people, big ideas! 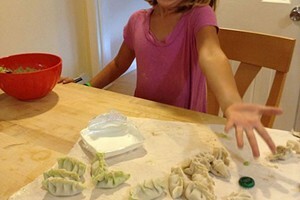 If you attended summer camp as a kid, chances are that some of your clearest memories involve those special places where you played, swam and roasted marshmallows. Those wooded trails, water-worn docks and dusty campfire circles are the features that live in our hearts and minds long after summer — and childhood — is over. 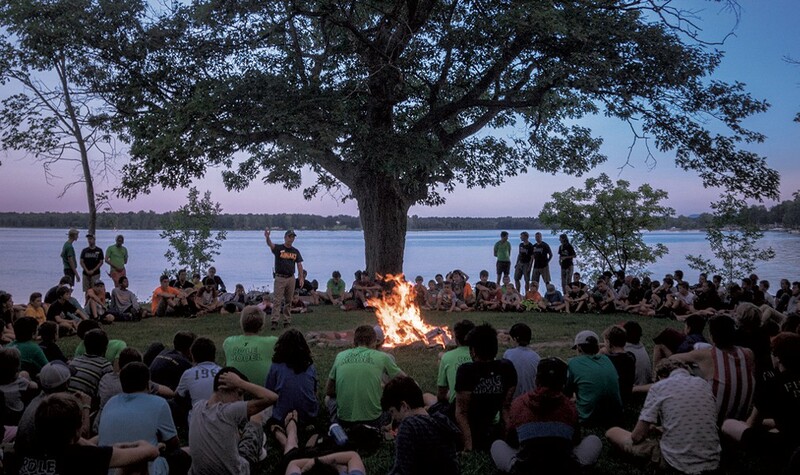 This month, we asked camp directors and staff to tell us about a beloved place at their camp. One of my favorite special places at Camp Abnaki is Bennington Point. It is basically the first place where all of camp comes together in a session for our opening campfire and where the magic of camp starts. Camp comes alive here. It has an absolutely breathtaking view, and the presence of the large oak tree makes it a very intimate setting. It is the perfect camp setting. ReTribe's programs are held on our new property in Underhill. 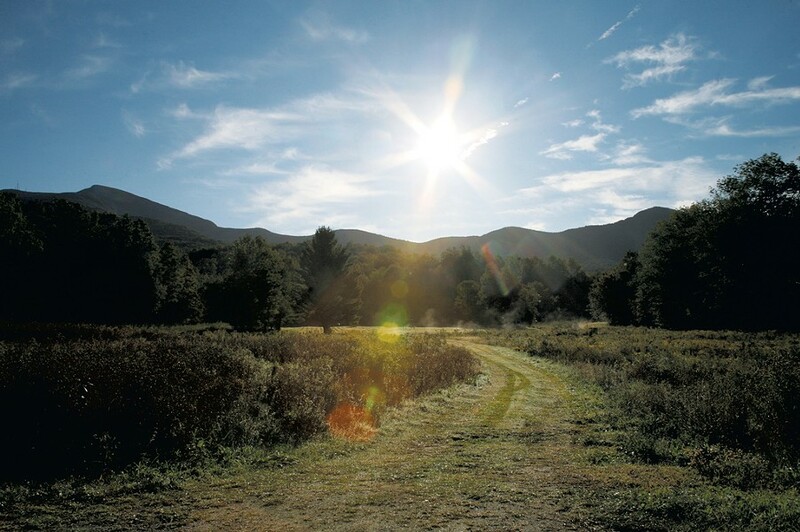 Our land is 80 acres of fields and forests that lead directly up to Mount Mansfield. Stevensville Brook runs off the mountain. Through the land and throughout the brook, you can find waterfalls and deep swimming holes with places where the water has carved and smoothed out the rock in beautiful ways. Through a big, open meadow, a path leads to our swimming pond. The field is bordered on one side by the brook, where children love to play and explore in the water. The first sign of mountain biking from the Catamount parking lot is the Pump Track. For years, riders from 3 to 73 have had a ball riding this roller-coaster dirt-track oval over and over and over. The smooth bumps are addictive, and riders can easily complete the loop with very little pedaling once they have mastered the "pump" method of creating more momentum. In the middle of the Pump Track is the bike teeter-totter. It is an irresistible obstacle that beckons every rider upon arrival. To dare to ride up the low side brings great reward as the high side then becomes your landing hill. If you have been to Catamount, no doubt you are going to go away telling everyone about the Pump Track! Imagine a cluster of tall pine trees with perfect climbing branches reaching out to greet you, and a picnic table in the center. Beyond the pines, you are greeted by a young forest of staghorn sumac trees, the Sumac Forest. Here, campers build forts and fairy homes, which get added to each week as the summer goes on, eventually creating a small village. Some sumac trees help to support the structures, while others offer their dead branches for building. 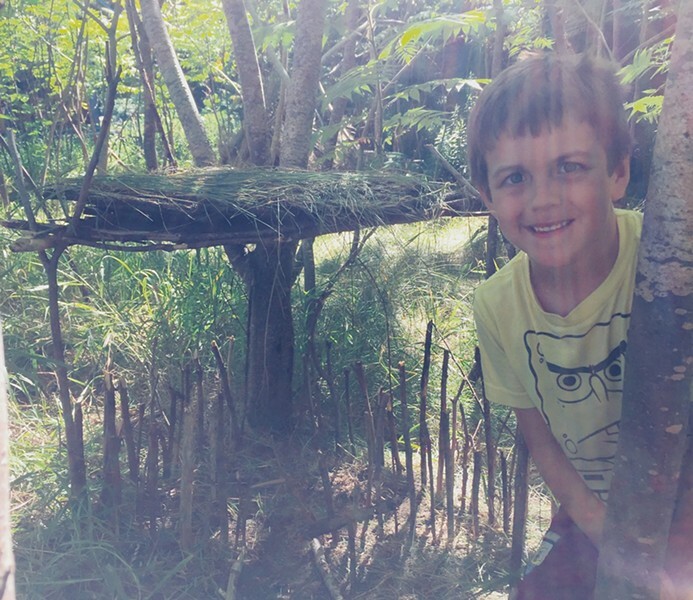 Some campers build camouflaged teepees for hiding during games; others build small, intricate fairy homes, sometimes introducing a caterpillar or snail they found to their new fortress. If building doesn't interest them, campers look for bugs under dead logs, climb trees or play a game of camouflage hide-and-seek. Many happy memories are made in the Sumac Forest and it's a favorite spot for campers and counselors alike. Campers and counselors gather together and venture down the wooded trail at the end of the line of cabins overlooking Lake Champlain. They continue, passing beneath an archway made of twisted branches, and enter a clearing in the trees. Sunlight glints off of the lake beyond, dancing through the leaves and speckling the forest floor. Everyone settles in, finding a seat near a friend. Hochelaga's Counselors in Training gather at the front of the space and everyone quiets. The CITs begin to share their reflections on the meaning of camp and the impact Hochelaga has had on them. This place at Camp Hochelaga is known as the Reflective Space. This place has had different names over the years, but it has been used as a space to come together as a community, fully immersed and connected to nature, for much of Hochelaga's 100-year history. 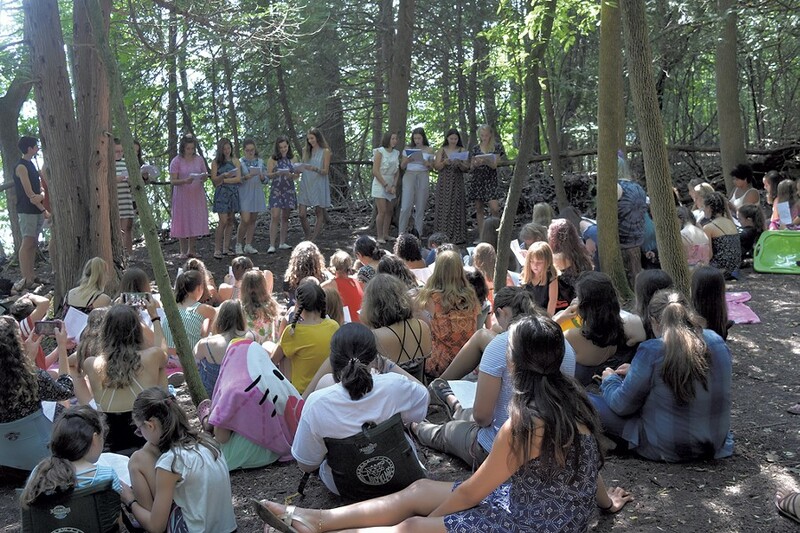 Over the years, campers have entered the reflective space for everything from small-group writing workshops to full camp community gatherings. It is simple in structure, maintained only by clearing away leaves and fallen branches to allow space for a seat, but holds an air of camp magic, and will continue to exist as a place to uphold and reflect upon the core values of camp: community, leadership, friendship and empowerment. Lewis Creek is simply referred to as "the creek" by campers. It's a beautiful, gentle flowing body of water that runs through the forest on our property. There are moss-covered rocks, sandbars, ferns, ripples, fish and more that make this creek so inviting. Its cool waters and shady shores make for the perfect summer escape from the heat. Campers wade in the shallows, swim in the deeper parts, float homemade boats and learn all about what lives below the surface. We do macroinvertebrate studies and talk about stream ecology. Our creek is special because it's like stepping into a magical place. There's always plenty to explore and it's super kid-friendly and safe because the water levels are low in the summer. One of the first things a River of Life camper gets to experience as they start their incredible week at camp is our iconic suspended bridge that crosses over the beautiful Black River. 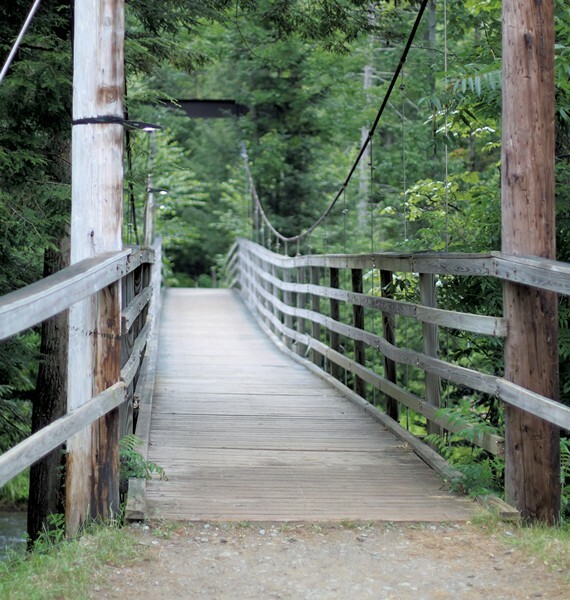 Campers will utilize this bridge several times each day throughout their week here — though crossing the bridge for the first time begins their journey at camp. Their journey will be full of fun experiences where they will get to meet Jesus Christ through His Word, Bible speakers, and loving counselors. This bridge, which has been here since the beginning, truly is a special and unique place at our camp — one that we are very thankful for!